In late July/early August 2016 we travelled independently along the Pamir Highway and into the Wakhan Valley. 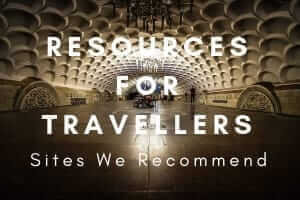 In this post, we will share our personal experience and tips for backpackers and independent travellers plus some additional information we picked up along the way. We hope it will be useful if you are planning a similar journey. 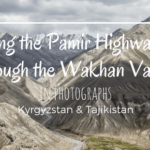 If you’re not so interested in the logistics of this Central Asian adventure and just want to see some of our pretty superlative-invoking photographs, you might prefer to jump over to our Photo Essay: Travelling the Pamir Highway and Wakhan Valley. Depending on the source, the Pamir Highway is the second highest road in the world. Also depending on where you get your facts, the Pamir Highway starts (or ends) in Osh in Kyrgyzstan and ends (or starts) in Mazari Sharif in Afghanistan. Officially known as the M41, a more recent extension of the road begins in Bishkek. From Osh, the road winds its way to Tajikistan’s capital, Dushanbe, and onwards briefly into Uzbekistan before ending in Afghanistan. 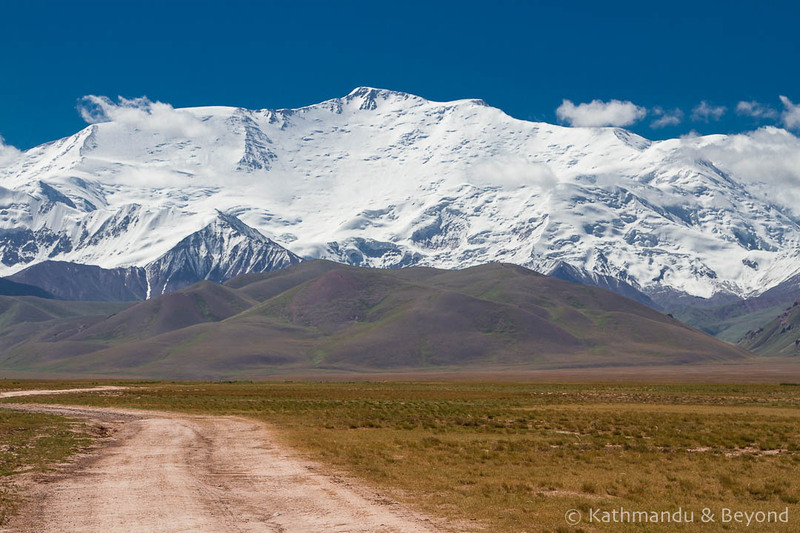 However, when most travellers talk about the Pamir Highway, they are usually referring to the remote high-altitude section of the journey that connects Osh in southern Kyrgyzstan to Khorog in Tajikistan. To confuse things further, some travellers refer to the relatively short distance between Murgab and Khorog as the Pamir Highway, even if they have substituted the most direct section of the road from Murgab to Khorog with a detour south along the Wakhan Valley. This deviation (which is not the M41) follows the river which forms a natural border between Tajikistan and Afghanistan and passes through some of the region’s most spectacular scenery. Whatever your definition, this article largely focusses on the section between Osh and Khorog and, to a lesser extent, the sections between Bishkek and Osh and Khorog and Dushanbe. We travelled through Kyrgyzstan from Bishkek to Osh prior to joining the official Pamir Highway and crossing into Tajikistan. We continued along the Pamir Highway, via Karakul and Murgab, before leaving the M41 and dropping down into the Wakhan Valley. 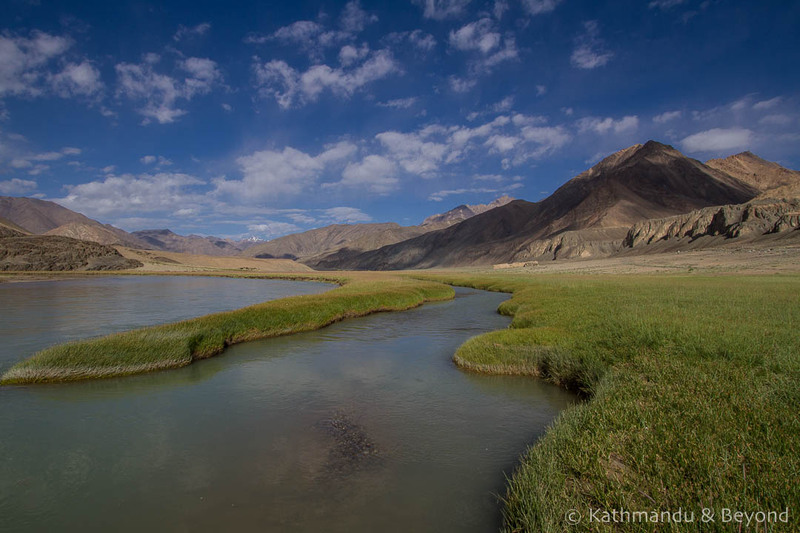 We followed the Wakhan Valley, hugging the border with Afghanistan, via Langur and Ishakashim and on to Khorog. From Khorog we continued towards Dushanbe. Between Bishkek and Osh in Kyrgyzstan and Khorog and Dushanbe in Tajikistan, we travelled by ‘public’ transport: a combination of shared taxi, marshrutka (local fixed route minivan) and bus. 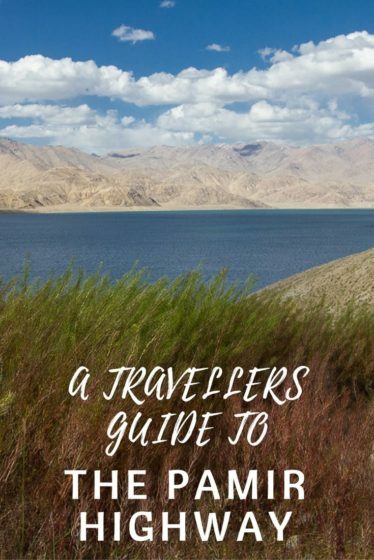 This article, however, is more concerned with the section of the journey from Osh to Khorog – the part of the Pamir Highway that brings many travellers to this region of Central Asia. 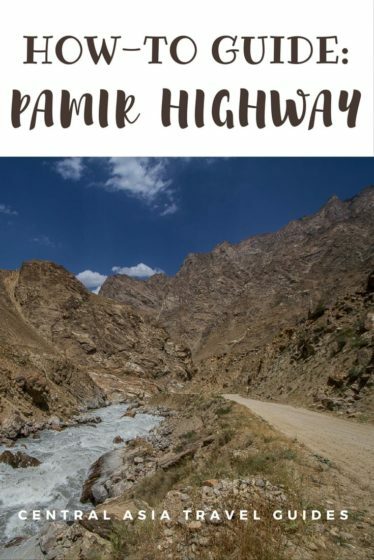 Also the part of the Pamir Highway where the stunning high altitude scenery, with its Tibetan-style high plateaux, yak and yurt dotted pastures and jagged snowy peaks, will compel your jaw to drop, your camera battery run low and your memory card burst. Our usual travel modus operandi is by public transport, however this is practically impossible in this region of Central Asia. There are a handful of buses running to the Wakhan Valley from Khorog in Tajikistan (more on that later) but other than that, the closest thing to public transport is a shared taxi*. The thing about shared taxis – aside from being, usually, packed as tight as a tin of sardines and thus incredibly uncomfortable for distances of any length – is that they run point to point between key towns: Drivers want the A to B fare and so usually refuse passengers wanting to reach any midway points (or they charge the full fare regardless of how far you travel). The aim is to reach the destination as quickly as possible, which is some cases can easily mean a 12-hour drive with limited stops for meals and toilet. There certainly won’t be any photo stops! This lack of flexible public transport is the reason most travellers chose to hire private transport with a driver and do the journey at a leisurely pace. Why, after making all that effort to reach this remote part of the world, would you sacrifice your enjoyment of such stunning scenery by watching it pass you by in a flash?! Overall, we felt the itinerary we planned was well-balanced and covered everything we wanted to see, without being too rushed. On reflection, we agreed we could have easily spent a second night in Langar, largely because it was a friendly and picturesque village but also because it was easy to explore on foot and the homestay was comfortable. Ordinarily we wouldn’t recommend nights in both Tulpar Kul and at Peak Lenin Base Camp, as geographically they are very close to each other, but we wanted to attend the annual Nomadic Horse Games at Tulpar Kul and also spend the night at Peak Lenin Base Camp. There are plenty of online travel agents with whom you can arrange a private car to traverse both the Pamir Highway and Wakhan Valley. 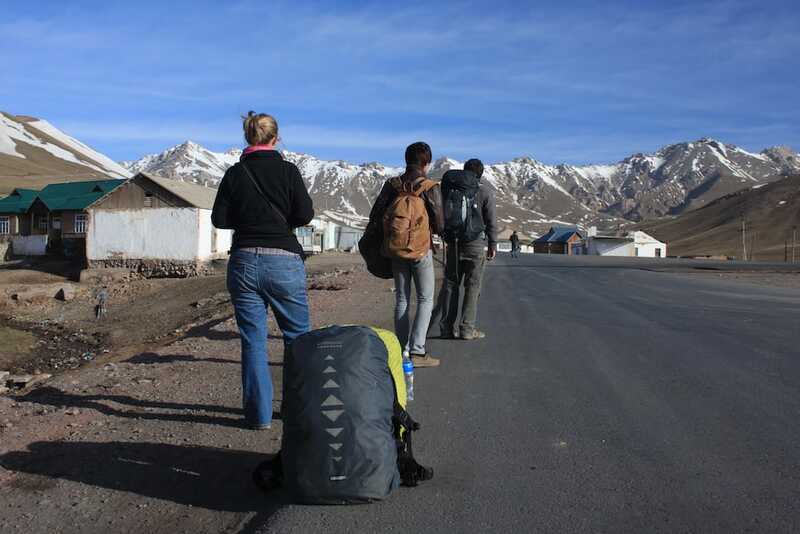 If you are short on time, it makes sense to contact one or two in advance to at least get the ball rolling, however most backpackers arrange their transport on arrival in either Khorog or Osh, as we did. If you are booking in advance and not so concerned with budget, you might want to consider contacting a Murgab-based company. It will probably cost more, but you may find the service more professional and more likely to able to provide an English-speaking driver, who can also act as a guide. Backpacker places in Osh tend to provide basic services consisting of a vehicle and driver who is likely to speak limited English. For budget travellers, the Pamir Hotel in Murgab can also help with transport. We booked our transport and driver through Osh Guesthouse (Contact Omad, the manager, at oshguesthouse at gmail.com). 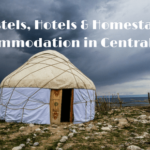 We had a good idea of what we wanted to do itinerary-wise and sent a short email outlining our requirements to Osh Guesthouse about a week before we wanted to leave Osh. When we arrived in Osh, we went to see Omad, discussed our itinerary, tweaked it a little bit and settled on a price. Overall, we were very satisfied with Osh Guesthouse and recommend them. We also contacted MuzToo, a Swiss-run agency, for a quote but they never replied even though the message was sent on more than one occasion – so much for Swiss efficiency! Kyrgyz Community Based Tourism Association (CBT) in Osh, whom we didn’t contact, can also help plan a similar trip. A Google search will bring up several other options. Good general advice about where we would be able to change money/use an ATM and the need to purchase drinking water in advance (bottled water is expensive in the Pamirs and the Wakhan Valley). We were given a final itinerary, including mileage that was agreed and signed by both parties. A copy was also given to the driver so there was no room for discrepancies. Although we paid Osh Guesthouse the full amount prior to departure, they returned a quarter of this just before we left and told us to hand it over to the driver at the end of the trip. This was their policy, not ours. They provided us with an excellent driver (see below). Omad was not very good at replying to emails. He is definitely a phone and face-to-face type of guy and my advice would be to follow up any emails with a telephone call or a visit to his office at Osh Guesthouse. Lack of English from the driver. We were told our driver, Gena, would speak a little English and superior Russian. Gena did speak good Russian but only a few basic words of English. In the event, this wasn’t a problem for us as one of our group spoke Russian but communication could have been difficult at times if we had had to rely on English only. The USB charger in the car didn’t function properly. This was something we specifically asked for and were told we would get. In the event, it wasn’t critical as we were able to charge our phones a lot more regularly than we anticipated. The Mitsubishi Pajero is not as comfortable as a Toyota Land Cruiser but the latter is more fuel thirsty and therefore more expensive. From Khorog, the place to head to organise transport and look for others to share with is the Pamir Eco-Cultural Tourism Association; PECTA for short. 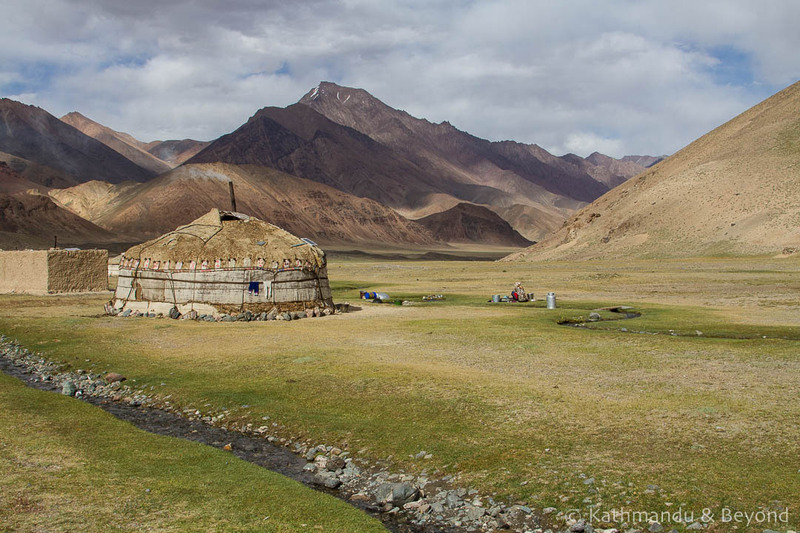 A non-profit organisation supporting several facets of the Pamir community their role includes supporting local communities whilst minimising the negative impacts. PECTA can contact drivers on your behalf and negotiate the costs. They also have a notice board where you can advertise for co-travellers and are proactive in matching travellers departing within a day or two. 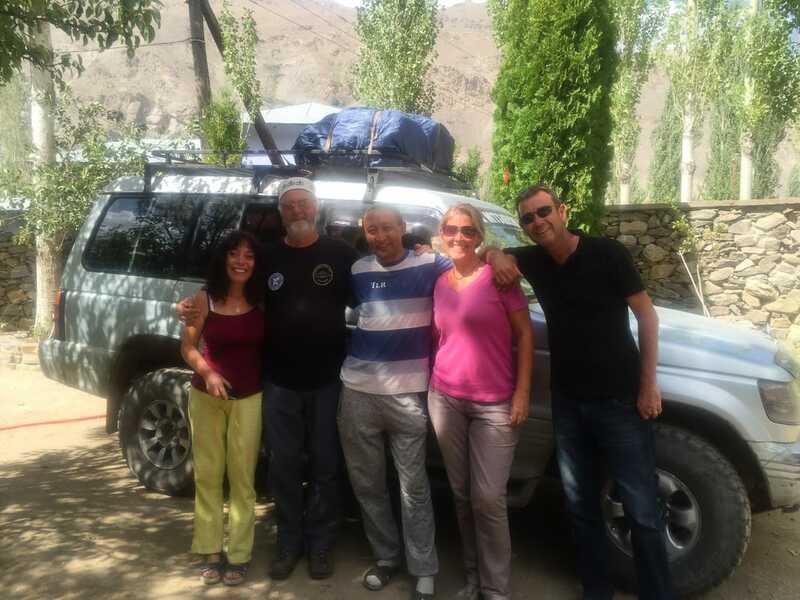 The Pamir Lodge is also a popular travellers’ hangout, but most of the travellers staying there have their own wheels, be they cyclists or overland drivers. It’s located quite a bit away from the centre of town and we felt a bit isolated there. Therefore we opted to stay in the town, where we could regularly pop into the PECTA office to check their notice board and use the Wi-Fi. Our driver, Gena, was affable, good-natured and flexible (as much as he could be considering we agreed on the mileage for the trip). He stopped for photos whenever we requested him to do so (sometimes we would ask him to stop, travel another kilometre or so and ask him to stop again, the scenery was that fantastic!). Furthermore, he helped us find places to stay along the way. He was also a very good driver, knew about mechanical issues and always kept the vehicle clean and tidy. Finding a driver like Gena is paramount to enjoying a trip of this nature. We may have been lucky but I’ve read other reports of Osh Guesthouse’s services and again the drivers get glowing reports so it would suggest that their pool of preferred drivers are of good stock! If you are in a position to request Gena as your driver, I would recommend you do so and please say hello from us! The only disadvantage was his lack of English. In case you are wondering, we did tip him at the end of the trip, handing over US$15 per person with which he seemed very happy. Transport costs are calculated according to mileage. Our trip had more mileage than is essential as we added in two side trips out of Murgab and our decision to stay at both Tukpar Kul and Peak Lenin Base Camp added another 100 or so kilometres to our tally. In the end, we paid US$1000 for an eight-day itinerary based on four people travelling, which was agreed upon in advance. (Note you are paying for the vehicle, not the number of passengers.) We did try to negotiate on the price but didn’t get very far with this! Ultimately, though, we weren’t that bothered – US$250 per person for a week-long trip through one of the most spectacular regions in the world is pretty good value in our books. As well as including the cost of hiring the 4WD vehicle (in our case a Mitsubishi Pajero), the price also included an agreed amount of mileage to cover the route plus an allowance of US$15 per day to cover the driver’s food and lodgings. In theory, we had the flexibility to go over the agreed mileage during the trip (i.e. visit other places en route) plus we could have added extra days to the itinerary along the way if we so wished. If we had decided to do either of these things (in the event we didn’t) we would have had to pay an agreed extra kilometre rate for deviating from the original route and US$15 per day driver’s expenses for any additional days we added. Other travellers we met who also booked through Osh Guesthouse paid $1200 (negotiated down from $1600!) for a 7-day trip from Osh to Dushanbe. There are plenty of travellers crossing the Pamir Highway and touring the Wakhan Valley but arranging a 4WD with a driver in Osh is not as popular as you might think. We thought that in the height of the season (July/August, which is when we undertook the trip), there would be lots of other travellers wanting to do a similar journey but we didn’t find this to be the case. Over-landers (with their own transport) and cyclists are way more common a sight than travellers who have grouped together and hired transport in either Osh or Khorog. The staff at Osh Guest House told us that in the high season (July/August) independent travellers were setting off on a daily basis. However in the few days we were in Osh seeking companions, no suitable matches came up. On the day we arrived, we were told of two Italians that were looking for fellow travellers, but that they were leaving the following day as they had already been waiting four days to find people to join them. On this basis, if you don’t have the flexibility to wait around, there is no guarantee of quickly finding others to share your transport. There will be an element of good luck/timing and/or a certain degree of hanging around in Osh if you simply turn up without any prior plan or small group of your own. While on this point, note you really don’t want to have more than a group of four for this journey as anything bigger would prove very uncomfortable. Typically, 4WD vehicles used for this trip (Toyota Land Cruiser and Mitsubishi Pajero) have space for six passengers plus the driver. This is broken down to one passenger in the front, three on the backseat and two more right in the back where the luggage is stored. The middle seat on the back row is uncomfortable enough for long distances but if you had to sit right in the back facing inwards on a smallish chair that would be even worse. Those two passengers would also be surrounded by everyone’s luggage as there isn’t much space on the roof rack as this is given over to spare cans of fuel. We saw a couple of cars with six passengers in them and all I can say is, rather them than me! Don’t be tight with the budget on this one and opt for a maximum of four passengers only! Furthermore, don’t forget to agree that everyone has a turn in the front (good) and middle (bad) seats, regardless of their size or height. Our group simply rotated clockwise on a daily basis and overall it worked out pretty good. Travelling from Kyrgyzstan to Tajikistan, the notice board in the reception area of Osh Guest House is the best place to start when looking for travelling companions. From Tajikistan to Kyrgyzstan, as mentioned above, the PECTA office and Pamir Lodge are where to look for fellow travellers. We found our fellow travellers via a Thorntree posting. After making initial contact, we agreed to keep in touch during our respective travels in case things didn’t work out. But they did. Despite a general impression that it is easy to find people to share with, retrospectively we felt that we could have been waiting in Osh for rather a long time in order to find others who wanted to undertake a similar journey to us. And whilst Osh is an OK city for a few days, accommodation on a budget offers slim pickings, Wi-Fi is not the greatest and the city suffers from a water problem in that the main supply comes from the rivers and when it rains the city government cut the supply in order to prevent people drinking water that is dirty from churned up river sediment. If coming in the opposite direction, Khorog is not very exciting either! Is it possible to travel the Pamir Highway by public transport? Yes, but only by shared taxi and without much opportunity to break the journey along the way. More than likely, you will have one shared taxi from Osh to Murgab (where you can spend a night or two) and then another taxi from Murgab to Khorog. 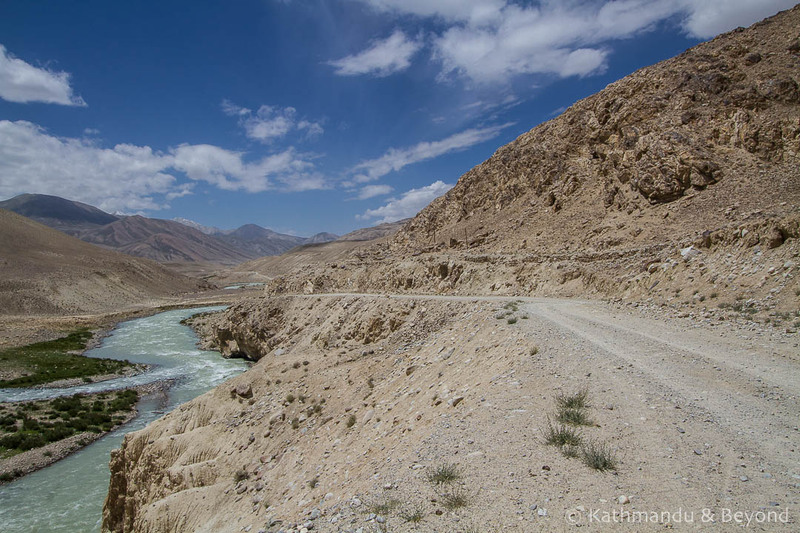 Note that taxis take the fast and direct route along the Pamir Highway (M41) and don’t go via the Wakhan Valley which is the most dramatic part of the drive. As we travelled from Kyrgyzstan to Tajikistan, we have broken it down in that direction. Approximately, the same information applies in reverse. 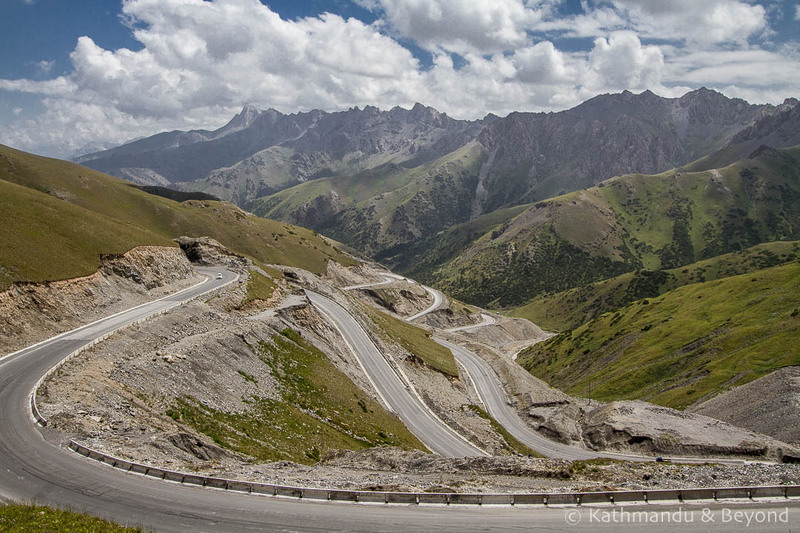 Despite being the Kyrgyzstan’s major highway, no public transport operates on this route. The only option is to do this minimum 12-hour journey by shared taxi. Approximate cost: US$22/person. Possible by shared taxi. Approximate cost: US$30/person. Possible by shared taxi. Approximate cost: US$20/person. In its entirety, it’s only possible to do this journey by shared taxi. However, there are options to break the journey – it’s incredibly long so you may want to! If you take a shared taxi as far as Kulob, it is then possible to take a more comfortable public bus to Dushanbe. Kulob’s not a bad place to spend a night or two in anyhow but note you will be charged the full Khorog to Dushanbe fare by the driver of the shared taxi. There is also the option to explore the Shokh Dara Valley shortly after leaving Khorog. Approximate cost: Khorog to Dushanbe by shared taxi: US$32/person (Khorog to Kulob by shared taxi will probably cost the same: US$32/person) and Kulob to Dushanbe by bus: US$3/person (bargain!). NOTE: Costs are approximate and based on our experience and research in July/August 2016. Is it possible to travel the along the Wakhan Valley by public transport? There is no public transport from Murgab to the Wakhan Valley (although shared taxis should be possible between Ishkashim and Khorog). There is supposedly a not-very-regular bus that runs between Langar and Ishkashim but it’s not really helpful to many backpackers and not a viable option for independent travellers coming from Kyrgyzstan as you can’t get to Langar unless you’ve hired your own transport or got very lucky and hitched a lift. Those on a budget too tight to afford private transport might want to attempt getting into the Wakhan Valley this way from Khorog, but that will mean returning to Khorog (from where you could take a shared taxi along the M41 to Murgab). Seek out the most up to date information at either Hanis Guesthouse in Ishkashim or PETCA in Khorog. First and foremost, we do not for one second regret chartering private transport to travel the Pamir Highway and through the Wakhan Valley. It was 100% the right choice to make. Hindsight is a wonderful thing, isn’t it? Had we known just how long, tedious and uncomfortable the journey from Khorog to Dushanbe is, we would have considered taking pre-organised transport all the way through to Dushanbe* or round trip transport out of Osh**. The latter option means you can travel one way via the Wakhan Valley and on the return journey along the faster Pamir Highway. If you have hired a car and driver from Osh, you will already be paying for the fuel for the empty leg, therefore returning with the driver wouldn’t increase the cost significantly: you’ll probably want to add in a couple of nights along the way rather than doing it in the one hit the driver is likely to do if going it alone. After crossing the Pamir Highway/Wakhan Valley, many overland travellers head straight to Dushanbe, rest for a day or two and then continue more or less directly to Uzbekistan. It is also possible to cross a border near Osh into Uzbekistan, which could cut out 15 hours of hell on the Khorog to Dushanbe road. *Our original plan was that once in Khorog, we would find fellow travellers who wanted to hire private transport for the onward leg to Dushanbe, allowing us to break the journey along the way and permit photo stops. Despite staying in Khorog for four nights, we didn’t manage to do so and therefore had to resort to shared taxis. Needless to say, it is yet another stunning journey and the misery of being wedged into the back of a shared taxi is only further compounded by the fact that you can’t stop for photographs along the way. **Of course to do this, you either need a double-entry Kyrgyz visa or be holding a passport of one of the nationalities that has visa-free entry to Kyrgyzstan. You will also need to have your Uzbekistan visa in advance as there is no embassy or consulate in Osh. Ishkashim is a well-known stop for travellers in the Wakhan Valley, because of the weekly morning cross-border market in Afghanistan. However the market has been closed for the best part of a year now which really means there is little attraction to staying in Ishkashim. As it only about a 3-hour drive on to Khorog, our advice would be to either skip Ishkashim altogether or spend an extra night in one of the homestays further in the valley. Unless of course there is word that the market has reopened! As we had our own transport, this is more of an observation than solid experience but we would think it would be very difficult to hitch this route. One problem is that in reality very few vehicles travel these roads. The other is that most cars are usually already packed to the roof with passengers. If you did get lucky, there is a good chance that the driver would also expect financial recompense equivalent to the cost of a shared taxi. 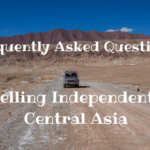 We hope we have covered most questions you might have about hiring transport on the Pamir Highway, please let us know if there is anything else we can help you with. 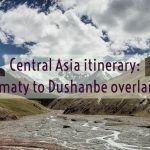 You may also be interested in this post: Travelling in Central Asia – Questions & Answers, and our suggested itinerary: Central Asia itinerary: Almaty to Dushanbe overland. 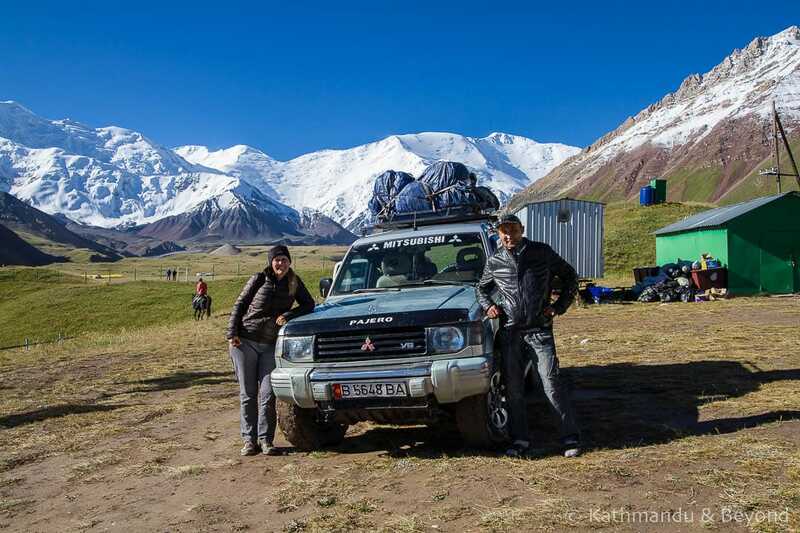 Do you have any other questions about booking a trip along the Pamir Highway? Leave your question in the comments below and we’ll add them to this article. Did you find this post helpful? Pin it to your travel planning board! This is great, very helpful. I’m sure I’ll have some additional questions later, but for now how were the Nomadic Horse Games? Thanks Doug. We’re also planning a couple more posts that you might find useful. That includes one on the Nomadic Games, which yes were fascinating to witness. Thanks for the amazing information! I was just wanting to ask about costs. You said it worked out at $250 per person – was that just for the car? How much did you pay on top for accommodation/food? I have been quoted $700 per person all-inclusive (3 people, 9 days) and was wondering how that compared. Thanks! Many thanks for your response – it’s very kind of you and very helpful indeed. I’ve found another one which works out at $550 (factoring everything in including english speaking driver) for 7 days – we are a group of three which partly explains the higher cost compared to your trip, but definitely more reasonable than the last quote! You’re welcome. Yes, this quote sounds a lot more reasonable! Have a fantastic trip – it’s one of the best road journey’s we’ve ever done! What an amazing photo of Lenin Peak. You were lucky to have a nice day, otherwise, it is aways cloudy there. 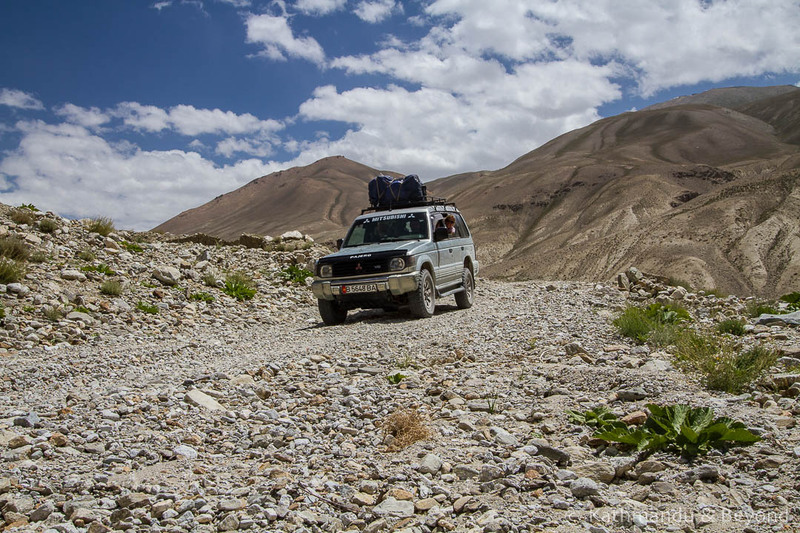 Nice post to get a lot about Pamir Highway trip. Great Job.